Jessica eats plastic, paper, sofas and tin foil. She's desperate to stop. Each day Jessica eats a regular diet of chicken, vegetables and chocolate. But, whenever her family isn’t around, the 30-year-old mother-of-two tucks into non-food items such as plastic, paper, tin foil, pencils and petroleum jelly. She suffers from a condition known as Pica and she is desperate to stop. Pica is considered an eating disorder and is defined by All Health as “an eating disorder in which a person repeatedly eats non-food items”. It’s most commonly associated with pregnancy or in children with developmental disabilities such as Autism Spectrum Disorder. Jessica’s case is unusual in that it began when she was a child, but has continued into her adulthood. Treatment at an eating disorder clinic was unsuccessful for her. 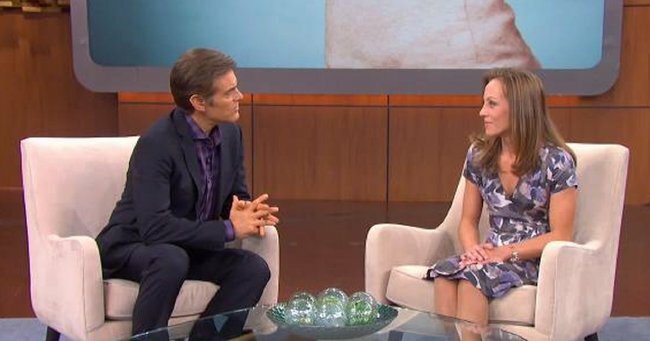 On a recent episode of The Dr. Oz Show, Jessica begged for help with her eating issues. Article continues after this video. While discussing her illness on Dr. Oz, Jessica explained that she craves these non-food items when she feels anxious or stressed. She also explained she’s been suffering from it since she was a child, once eating part of her parent’s sofa. Dr. Drew joined Dr. Oz to try and help her and he suggested that Jessica’s ongoing eating issues could be related to a past trauma. “I just imagining there’s some trauma in your past too,” he told Jessica. “Your body tries to deal with that trauma and survive it in anyway it can.” He labelled her behaviour “depriving” and “aggressive”. Jessica said “chronic constipation” is the only side-effect. Dr. Drew recommended a comprehensive assessment of Jessica in order to try and finally free her from her disordered eating. Jessica said she has no idea why she craves these items. Pica has been linked to other mental and emotional disorders. It has been suggested that iron and other mineral deficiencies can contribute to its development. Other patients suffering from Pica have eaten burnt match sticks, stones, clay, glass, hair and wool. If you or someone you know is suffering from a suspected eating disorder please contact the Butterfly Foundation on 1800 33 4673.